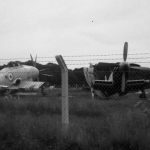 Here’s the basic history of Grange airfield. The story begins some time back, when a string of forts were built across Gosport between 1852 and 1862, these being (from south to north) Fort Gomer, Fort Grange, Fort Rowner, Fort Brockhurst, and Fort Elson. All of Gosport’s inland-facing fortifications were required to have an open area of 200 yards on the inland side, commonly known as ‘a killing field’. After the threat of a French invasion disappeared after the Napoleonic wars had been resolved, the need for these open areas became unnecessary. However, they remained open spaces, and found various uses from mere fields to sports grounds, etc. 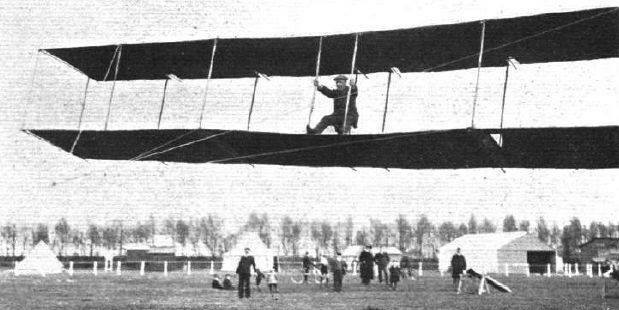 From around 1908, interest had sprung up in the possibilities of flying machines, and in April 1910, a local group of aviation enthusiasts (The Hampshire Aero Club) obtained permission from the War Department to gain use of the open area at Fort Grange ‘for experiments in aeronautical science’. This would have been ‘the polo ground’ (what is now HMS Sultan’s sports field south of Fort Grange, between Military Road, Browndown Road, and Grange Road). 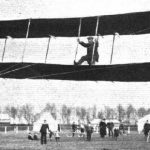 At that time, activities were not much more than some of the club members towing an an unpowered set of wings carrying a ‘pilot’, and flying some model aeroplanes. 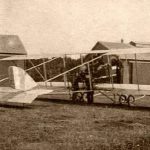 Two members of the club, naval lieutenants living in lodgings in Elmhurst Road, Lt Porte RN & Lt Pirie RN, built an experimental biplane at Grange in 1909, using a JAP motor-cycle engine made by local entrepreneur Vic Hutfield. 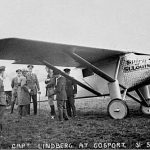 A flight was attempted from Portsdown Hill on 17th September 1909, but it crashed before actually taking off, with the two lieutenants being thrown out of the aircraft, although no injuries were sustained; the project was abandoned after this disappointing start. 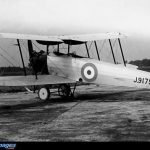 Soon afterwards, in November 1909, two more naval lieutenants, from Gosport submarine base at Blockhouse, being Lt Cochrane, and Lt Stocks, built another aircraft at Blockhouse (presumably), and it was taken to Grange for a trial flight. 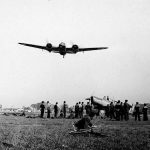 Unfortunately, upon takeoff, the plane got entangled in the starting tackle, and crashed, and was badly damaged. 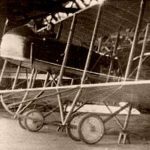 During 1909/10, Vic Hutfield teamed up with three other gentlemen to form the ‘RAS Aeroplane Co, Gosport’, using their names as the initials (Reader, Allen & Sheffield), and Vic Hutfield tried out his own-build monoplane at Grange. He also built the first aircraft hangar at the site in which to house his own aircraft. 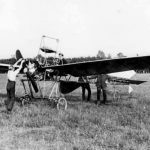 The monoplane was ready for testing at Grange in July 1910. Several flights got off the ground but landings were rather unsuccessful, with Grange field being unlevel, with potholes & puddles, and damage included breaking the propellor. After awaiting a new propellor for months, when it arrived it had been badly made, and couldn’t be used. 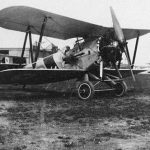 Later on, after much fiddling about, a young lad offered to fly the plane, and it flew for several hundred yards, probably because of the light weight of the lad, who later became Air Vice Marshall Lywood. I believe that the monoplane had been built elsewhere, and had been brought to Gosport by train, although I’m not certain of that, but it’s worth mentioning that, despite other aircraft managing to fly before this, Vic’s plane is believed to have been the first to take off unassisted (certainli in Britain); previous successful flights having had the assistance of being towed, or propelled into the air, other than the American Wright brothers flight of 1903. 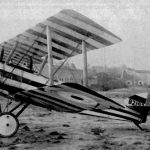 In 1911, Graham Gilmour successfully flew a Bristol biplane from Haslar sea wall (one of his many flying demonstrations), but was killed in a flying accident on 17th February 1912 when his plane crashed in the Old Deer Park, in Richmond. He was only 27. Meanwhile, biplanes were being made which flew successfully, although none of these were to be seen at Grange for the time being. 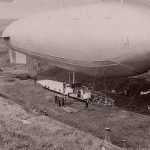 In 1913, the airship ‘Gamma II’ (there was never a ‘Gamma I’, oddly) was tethered in the dry moat at Fort Grange between 15 and 19 June; this could have been the time when King George V visited Grange, and was taken for a trip over the Isle of Wight in HMA ‘Gamma II’ from there. 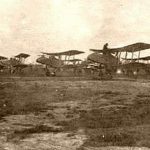 Perhaps it was seen as inevitable that World War 1 (not known as that until after WW2) was imminent, as in February 1914, work began to construct an airfield on the open area adjacent to Forts Grange and Rowner for use by the Royal Flying Corps (RFC). 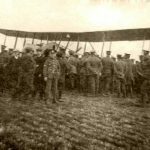 The first RFC aircraft to use Grange Airfield, as it became known, arrived on 6 July 1914. They only stayed for a few weeks, as ‘The Great War’ began on 28 July, so they no doubt were sent to France. 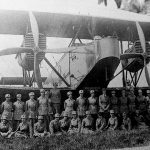 No further use of the airfield occurred until the Royal Naval Air Service (RNAS) made an appearance in October 1914; their aircraft remained for around three months. 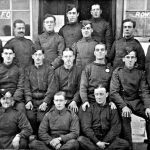 The RFC returned on 6 January 1915, and the airfield remained under their control until 1 April 1918, at which time the newly formed Royal Air Force (RAF) took over, and Grange Airfield became RAF Gosport. The war finished on 11 November 1918. 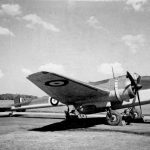 During the four years of the war, the airfield had a number of squadrons and flights, and the following aircraft could be seen at Grange, where they were based: Bristol Scout; Avro 504; and BE-2. 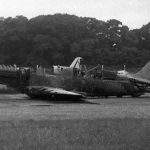 Other RFC/RAF aircraft did call in, including a Handley Page HP2 bomber, which, at the time of building was Britain’s largest aircraft. 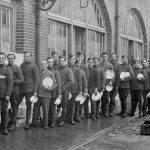 The RFC & RAF staff & aircrews were billeted in the barrack rooms at Fort Rowner, and possibly Fort Grange, although I’m not sure of that. 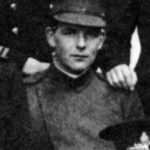 A significant event in 1917 was Robert Raymond Smith-Barry’s invention of a speaking tube, whereby the pilot could communicate with a trainee pilot, at the School of Special Flying, which was at Grange Airfield, being formed from 1 Squadron (reserve), of which Smith-Barry had been the commander since returning from action in France in December 1916. He’d been concerned about the lack of flying skills of the British pilots in France, and developed his own teaching methods. 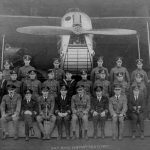 These were put to good use at the School of Special Flying, which was set up to teach pilots to become flying instructors, A number of Avro 504 biplanes had been donated by the Avro company for the purpose, but Sopwith Pups were also used, possibly others. 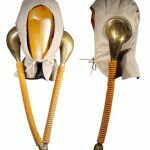 The speaking tube soon became universally known as ‘The Gosport Tube’. He’d performed experiments with the equipment at his home, Alverbank House (1917/18), where he lived with his wife, and which he used as an officers’ mess for officers from Grange. 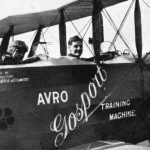 The School of Special Flying was later incorporated into the Central School of Flying, and the RAF Gosport school continued for some years, Barry-Smith’s teaching methods were acclaimed, and were utilised by air forces throughout the world. A very important figure in Gosport’s history, and a blue plaque was attached to the Alverbank Hotel (his home in 1917/18) in 2014 to commemorate his achievements. Even though never being a major airfield, Grange (aka RAF Gosport), still maintained & flew a fair number of aircraft, mostly as part of the School of Special Flying/Central School of Flying; in an aerial photograph taken in July 1929, around 35 biplanes of at least three distinct types can be seen on the airfield. 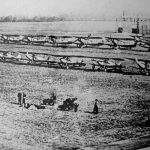 At some stage, the tarmac of the airfield was removed, and it was left as grass; I haven’t found a date for that. In 1940, the Air Torpedo Development Unit was formed here, and remained until 1956. Some of this torpedo work involved Fairey Swordfish biplanes dropping experimental torpedoes into Stokes Bay, wherefrom the torpedoes would be retrieved by launches based at Stokes Bay Pier, which the Admiralty had purchased (or leased) from the LSWR after the closure of the railway line on 30th October 1915. 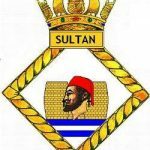 HMS Sultan came into existence on 1 June 1956 as a Mechanical Training and Repair Establishment. 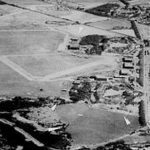 In 1965 work commenced on the building of the large Grange estate (most of it very recently demolished and rebuilt), much of which was built on the actual airfield. 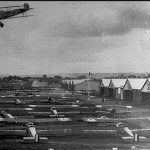 The offices of HMS Centurion were built at the north end, so nothing now remains of the airfield itself, although two of the original hangars are still in use, opposite the end of Cambridge Road. 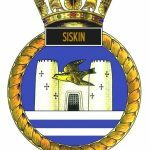 It now hosts the Defence School of Marine Engineering, the RN Air Engineering and Survival School, the Nuclear Department, the Network Rail Advanced Apprenticeship Scheme, and the EDF Energy engineering maintenance apprenticeship. Here’s a few photos; except for the crests, all photos were taken at Grange airfield. Credits to original photographers. 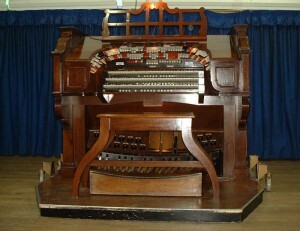 Gosport’s Railway Origins: All gong and no dinner. ?